Home » Air Pollution » Odour Survey and the World’s Smelliest Fruit? Odour Survey and the World’s Smelliest Fruit? At Phlorum we have considerable experience in undertaking odour surveys for restaurants across the UK and have developed a good working knowledge of Defra’s “Guidance on the Control of Odour and Noise from Commercial Kitchen Exhaust Systems”. Odour problems can originate from any type of restaurant. However, our experience and the guidance are clear that fried foods and pungent, spicy cuisines (such as Oriental food) have the highest nuisance risk factors due to odour and grease loading. Recently, Phlorum’s odour experts have undertaken surveys to confirm the efficacy of abatement technology and to settle a number of disputes. We have identified in the field those restaurants that have the greatest potential to cause a nuisance, and have also been able to recommend the type of mitigation likely to be most effective. This requires a good understanding of local issues, restaurant businesses, extraction systems and a close working relationship with ventilation engineers, local authorities, chefs and restaurateurs. 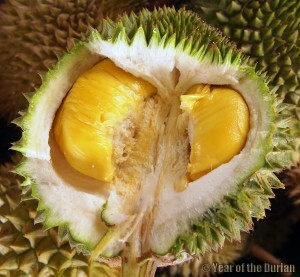 Fortunately, we have never had to deal with the Musang King durian, the most odorous variety of the south-east Asian durian fruit, which is now on sale in a London supermarket and is famed for being the world’s smelliest fruit. One of our staff has sampled durian toffee, which was decidedly unpleasant, we are told! It contained a tiny quantity of the fruit, but the smell brought to mind rotting fish and mouldy cheese. Any restaurant attempting to cook with this fruit is likely to have quite a task on their hands when it comes to odour abatement technology!